Did you know our partners in Africa do more than help provide clean water and HIV/AIDS medical attention? They help treat communities as a whole — heart, soul, and body. What do we mean? Did you know in Ethiopia, our partner, The ACT Project, organizes soccer club-Bible studies? They do so to create deep, lasting change in the youth in their area. By engaging kids and teens in a sports activity, incorporated with a Bible study, ACT is keeping kids away from drugs and other troubles and keeping them engaged in character shaping, leadership activities, and spiritual engagement. Did you know in Rwanda, our partner, MOUCECORE, trains communities on how to properly use and maintain latrines so they don't end up inoperable after a few years of use? 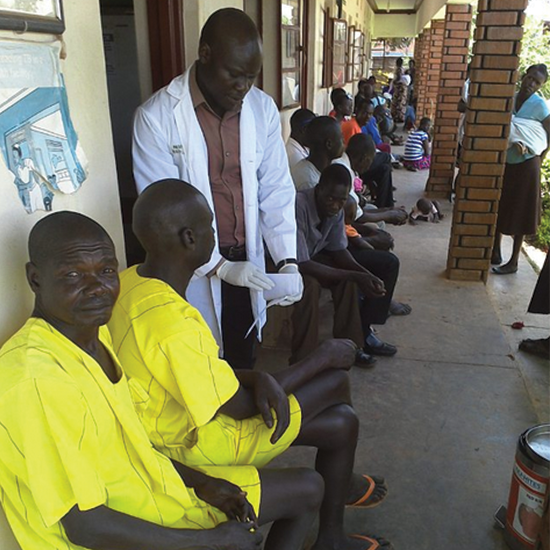 Did you know in Uganda, our partner, Food for the Hungry, helps give prisoners medical attention, furthering the goal to end the HIV/AIDS crisis? Did you know our partner in Zambia, Seeds of Hope International, awards community members with certificates they take deep pride in receiving after having completed rigorous training in what it means to keep a healthy home? Did you know in Kenya, our partner, Lwala Community Alliances, host soccer tournaments as a way to gather community members and teach them proper sanitation? In order to play in the tournament, participants must take the course. We may not always advertise these awesome ways our partners are helping community members in Africa. But now thanks to our new Instagram program, our partners are sharing photos of these events directly from the field. So be sure to start following us on Instagram to learn about all of these awesome updates from our partners! Follow us here.